One of the more common questions we get is how do you get rid of fingerprints, oil smudges and dust on your monitor screen? In this short how-to guide, we'll explain how you can clean your computer screen as well as what you should avoid if you don't want to damage it. Most manufacturers recommend using isopropyl alcohol diluted with water to clean your monitor screen. Apply the solution on a paper towel and rub your screen. For the tougher stains and more stubborn marks, you're going to have to rub hard. Not too hard though, as it may damage the screen. 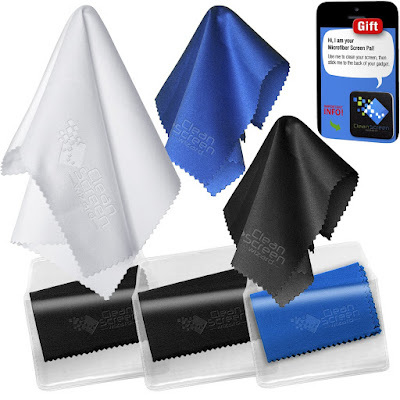 Personally, i'd recommend using a microfiber cloth like the one from Clean Screen Wizard above instead. 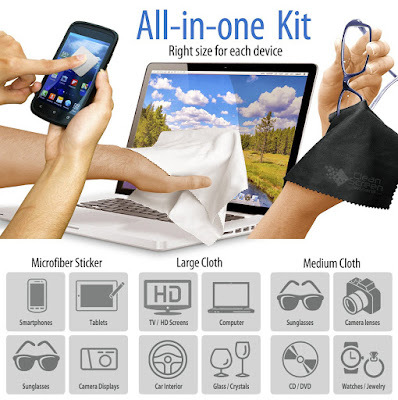 This microfiber cloth gets rid of the fingerprints, oil smudges, dust as well as bacteria without the need of any liquid screen cleaners like isopropyl alcohol. Less mess and you'll save money after a few wipes. Most important for me was the fact that i don't have to worry about scratching my screen. Hand wash the cloth by fully soaking it in warm water. Use your fingers to work the cloth and to help remove the trapped dust. Rinse thoroughly until the water that comes out of the cloth looks clear and the cloth is clean. Squeeze out (do not wring them or they might get deformed) all excess water and air dry. The Clean Screen Wizard cloth has got an impressive 4.8 stars out of 5, with many customers including myself vouching for it, and it's easy to see why. 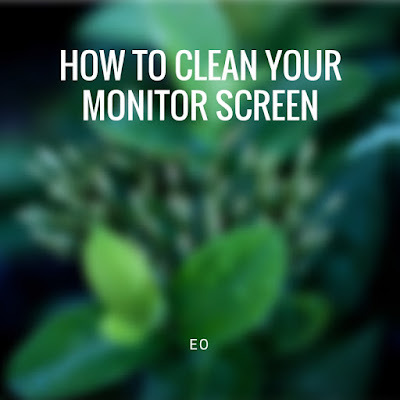 Hope you've found this short how-to guide on how to clean your monitor screen helpful. I prefer to use a good microfiber cloth like the Clean Screen Wizard because it's easier, a lot less messy without having to use a cleaning solution and cheaper over a year. You could use paper towels with isopropyl alcohol and get good results as well. Just be sure to avoid the acidic/alkaline solutions. In full disclosure, there are affiliate links to Amazon in the article above. Would like to thank you our readers for your support in helping to keep the site going all these years. Thank you so much.